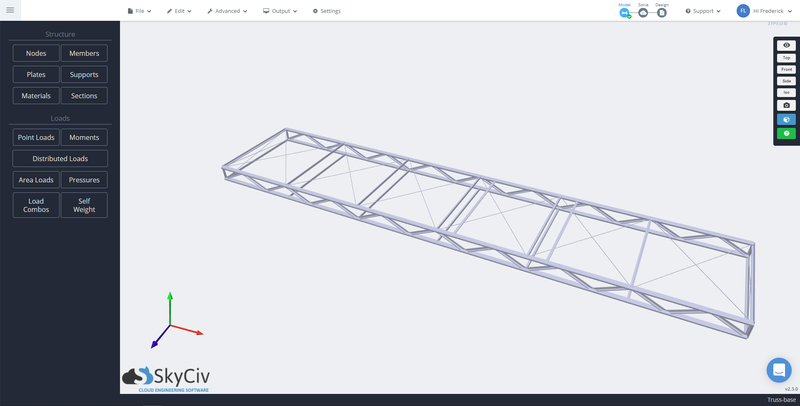 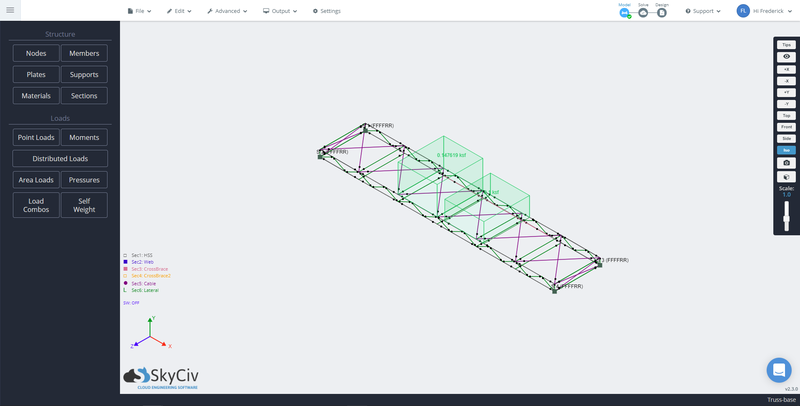 The Truss Platform featured here is a structure consisting of members and cables, loaded with area loads of 0.148 ksf and 0.1 ksf respectively. 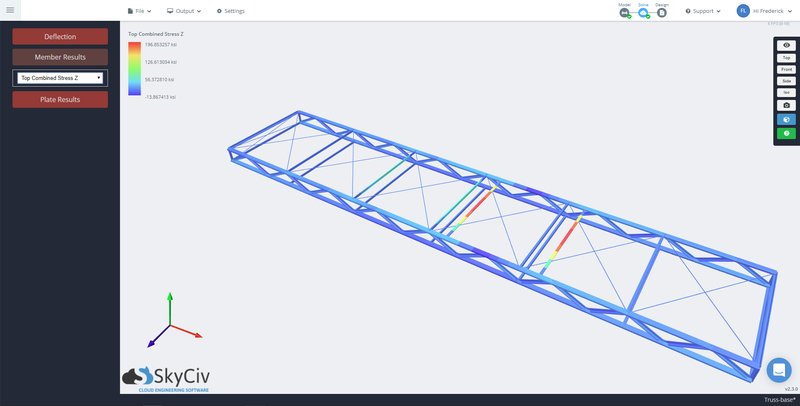 Upon checking the stresses, it would appear that the maximum stress experienced by the model are from the members supporting the 0.1 ksf load, with stresses reaching almost 200 ksi (five times or more than the strength of steel). 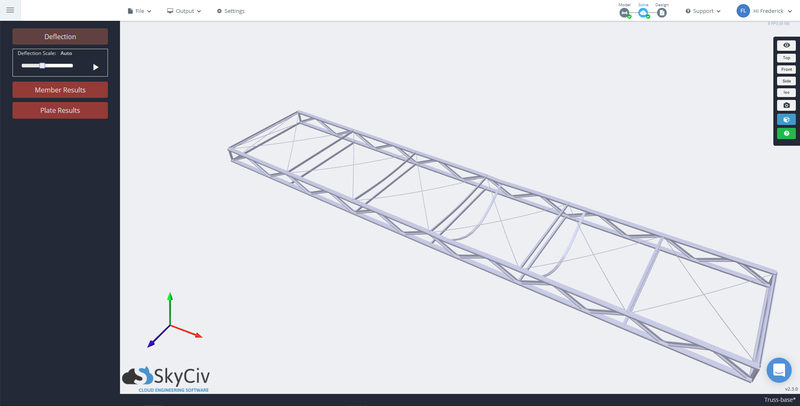 This rig is an example of how Event Riggers are using SkyCiv Structural 3D.